The next meeting of the LACBA will be held Monday, February 4, 2019. 7 minutes. A selected beekeeper to speak on how they got into beekeeping and their first two years of beekeeping. Specifically focusing on mistakes made, the trials, tribulations, problems. 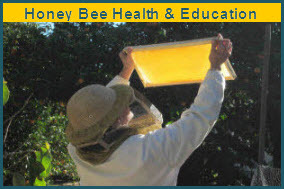 Murray Mosco has been a commercial beekeeper in Southern California since 2001. He is the founder of Wildflower Meadows, a queen producer based in San Diego County specializing in VSH-Italian queens. In the early 2000’s he worked with Chaparral Honey, a commercial beekeeping outfit managing over ten thousand colonies throughout San Diego, Riverside, and Imperial Counties. Previous to this, he served as President of Knorr Beeswax Co., and worked closely with the Knorr family. Over the past 15 years, he has moved countless bee colonies in and out of pollination throughout Southern California, and raised tens of thousands of queen cells for commercial beekeepers. Currently, he manages and oversees Wildflower Meadows, which produces and ships VSH-Italian queens to beekeepers nationwide. Spring fling at LA Zoo. 6 weekends late March to Early May. We need list of people who would like to volunteer for the booth. Educate. Observation hive? Sell honey and honey tasting with honey sticks. Eaton canyon nature center is having a one day event. Educate. Observation hive sell honey. Partner with BASC. Catherine Kaddis - cskaddis@gmail.com – Homeschool group in Monrovia would like to learn more about bees. Judith Selby – jrselby619@gmail.com – Lives east of Pasadena at the intersection of the 605 & 210. They would like to have bees. Is interested in the host a hive program she has read about as a learning mechanism. The beekeepers come once a month to tend the hive on our property and teach us the nuances of beekeeping. Do you know anyone in this area who has such a program? 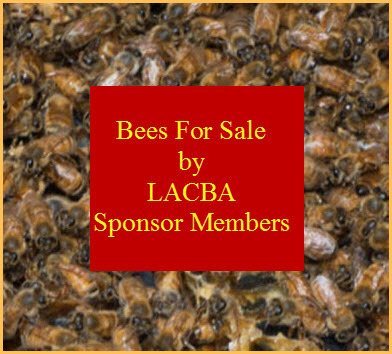 Central Valley Beekeepers Association – Beekeeping Symposium Saturday 2-23-19. Aidan Koch – aidanalexiskoch@mailbox.org - Hi, I run a small organization that promotes non-human animal discussions in the arts community. I’m hosting an event February 9th and was wondering if any bee-keepers in your association are open to doing talks about bee keeping in Los Angeles and how citizens can support their populations. There would be a $100 honorarium. If this might be of interest to anyone involved please let me know! What do your packages look like 11 months in? Next month, Theadore Payne Foundation to speak on California natives.